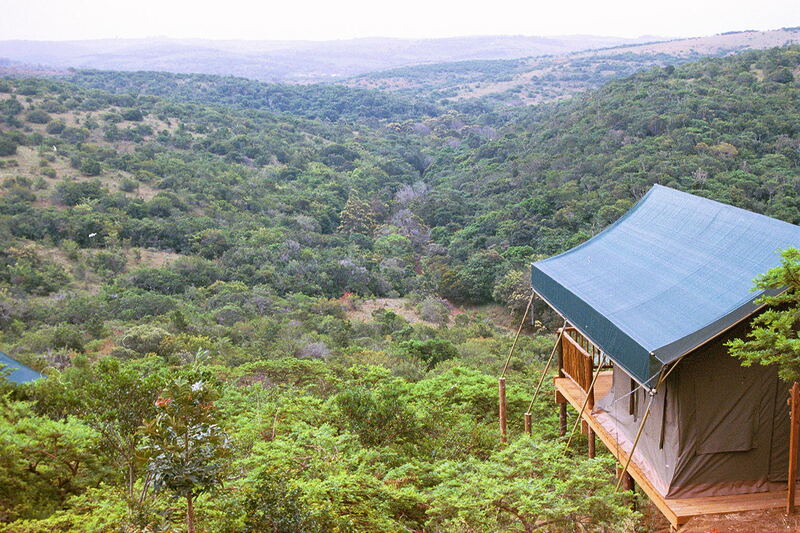 Inkwenkwezi Private Game Reserve’s Bush Camp offers luxury accommodation for 12 guests in six en-suite safari tents. 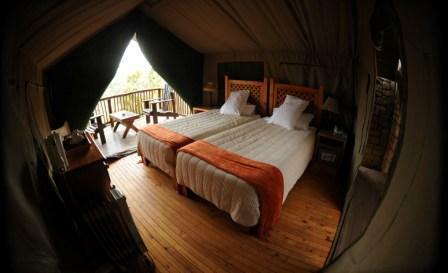 All tents have electricity, twin beds with Cloud 9 mattresses and slatted headboards, bedside tables and bedside lamps, fans, heaters, an internal telephone, a chest of drawers and a personal tea and coffee station. 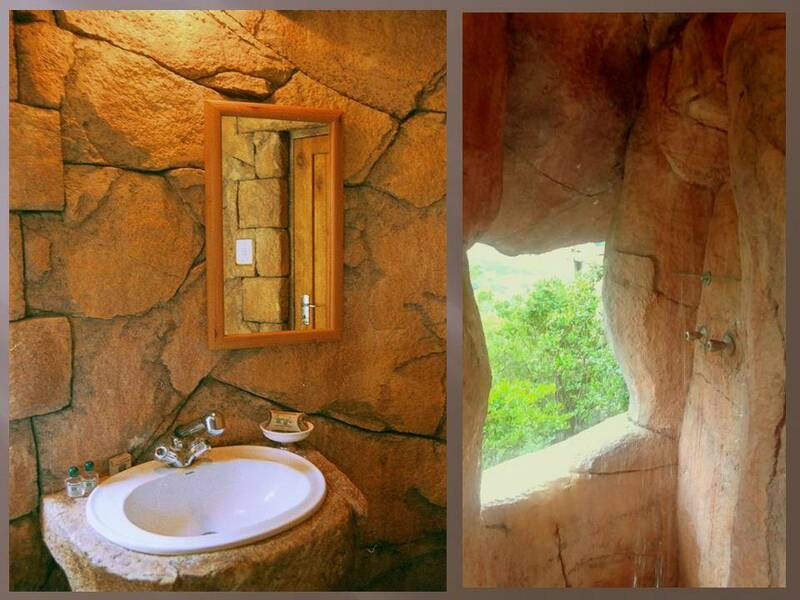 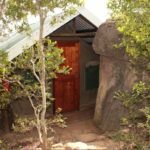 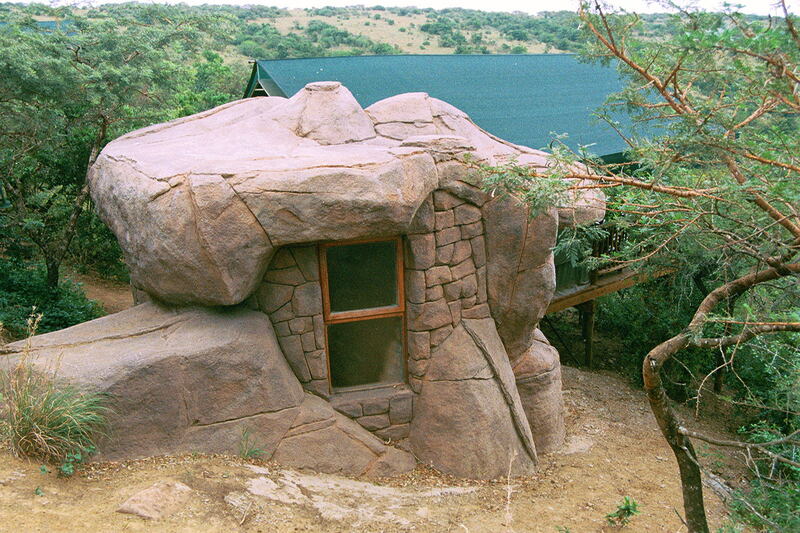 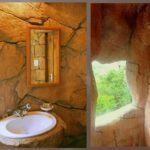 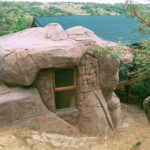 The private bathrooms feature a shower with hot and cold water which is crafted to resemble a cave, blending with the natural rock and bush of the area. 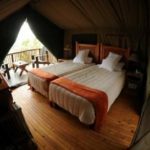 From its hilltop site, the camp overlooks a valley, and each safari tent is positioned on a raised timber deck offering your own private game viewing area. 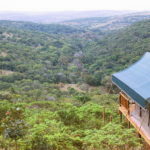 Relax on the elevated and partially covered timber deck on an easy chair with a coffee table. 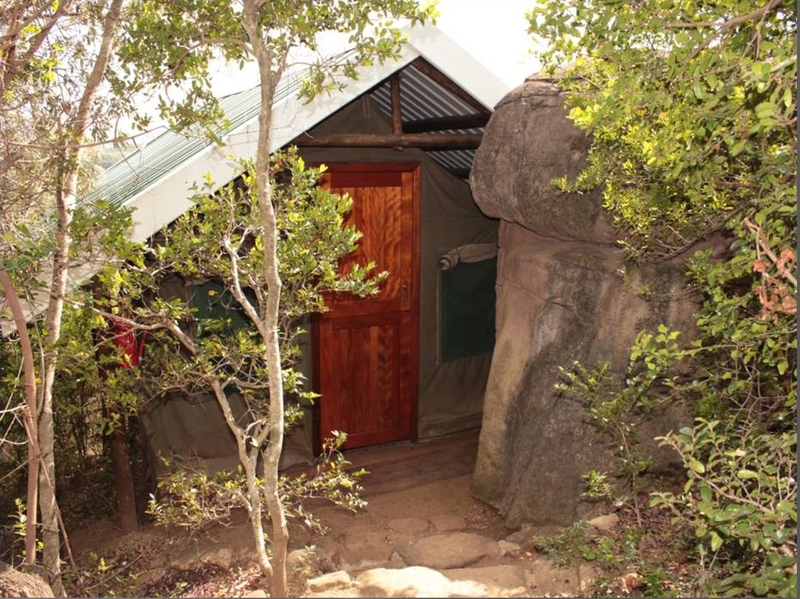 All tents at both our Bush Camp and Valley Camp have 3 roofs: the inside roof has ventilation flaps to control the temperature, the second roof is the water proofing, and the outside roof is used for shade and also helps to moderate the temperature.